Turbo Camaro was received with, and still has a Turbo Hydra-matic 350 (TH350 or Turbo 350) automatic transmission. The Turbo 350 wasn't released until 1969 so this 67' Camaro got one as a replacement for its factory Powerglide transmission. Interestingly enough, but transmissions are still very popular as their simple, yet rugged design is cost effective for drag racing and muscle car projects. Obviously, their are several other modern transmission you could swap in, for a price. The automatic Turbo 350 is perfect for a daily driver (comparing to the original Powerglide at least), so rather than replacement, a shift kit is in order. 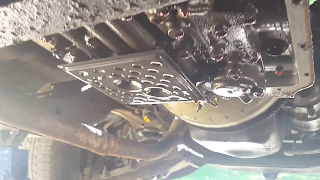 A shift kit tightens the overlap between automatic shifts and because of this, provides a harder shift and helps to cut down on transmission wear. When moving to a performance application, such as a super or turbocharger, a shift kit is almost mandatory to prevent excessive wear on your transmission. 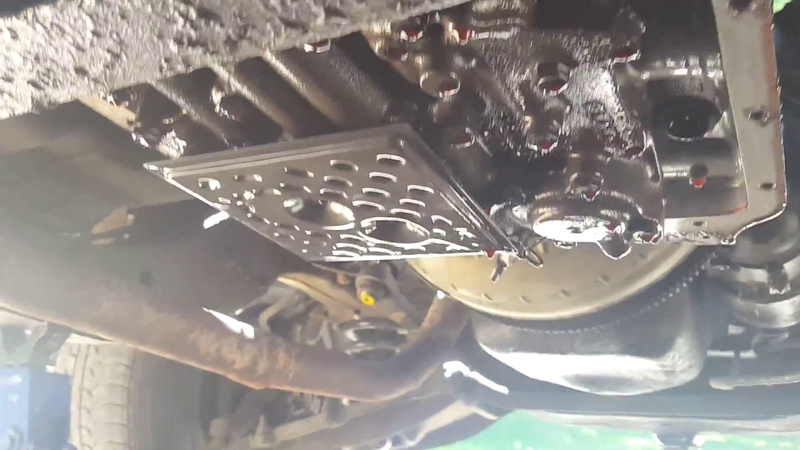 Once you've decided to install a shift kit, you'll need to pick one out. 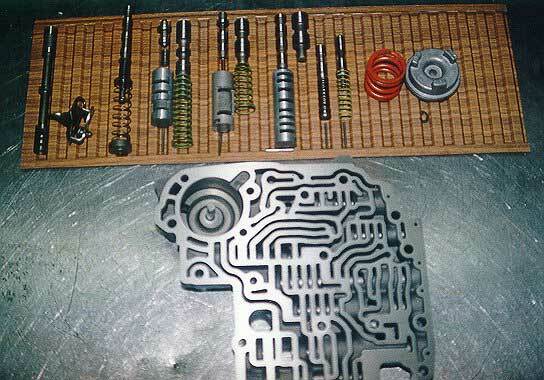 Depending on the popularity of your transmission you may have only one, or several to choose from. In this case, a Transgo 350-1&2 kit was purchased. It comes with everything required (except new transmission fluid and basic hand tools) to complete the installation. The instructions were somewhat cryptic but with the help of the manufacturers video (filmed in 1983) it's not a difficult job. 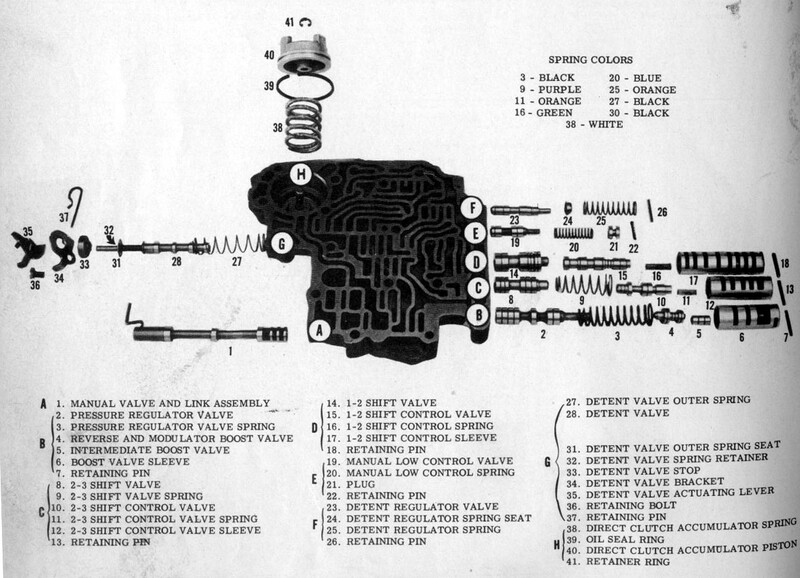 The hardest part will be deciding which springs to install as you can choose between Street/Pro Street and Strip. The drag strip setup was selected for Turbo Camaro as a Turbocharger significantly increases acceleration and load on the transmission. Everything is color coded and impossible to confuse what is what. 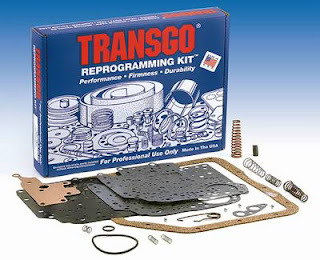 The Transgo Shift Kit install wasn't filmed as their is a publicly available manufacturer video and several other backyard mechanics versions. 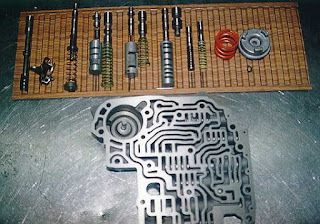 Instead, several pictures have been provided to let you see the contents of the kit and the internals of a transmission. Don't let the alien-ish appearance fool you, getting to and removing the valve body of a transmission isn't very difficult. Their are a few small pieces but if you take your time, follow the instructions/video it only takes a couple of hours and you end up with an instant performance upgrade.